Want to be a Fashion Blogger? How to join? Just tweet this! 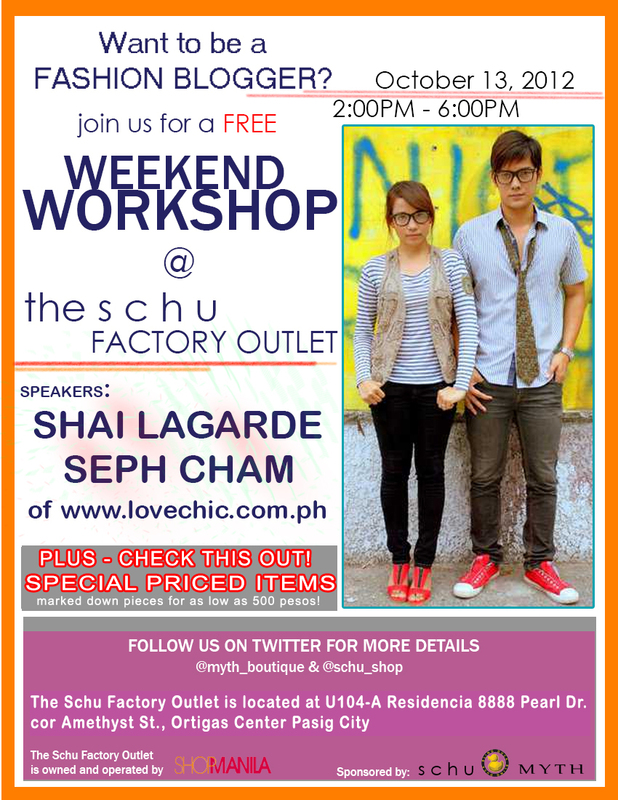 "I want to attend @schu_shop and @myth_boutique's FREE Weekend Workshop on Oct. 13 at the #SchuFactoryOutlet with @paxieness!"